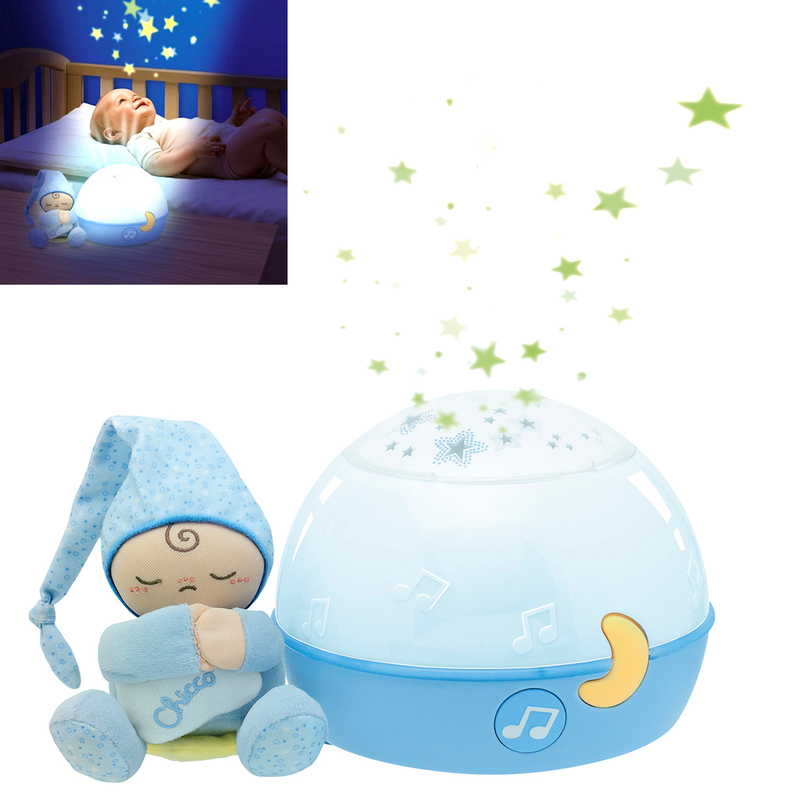 The Chicco Goodnight Stars projector is sure to create a magical atmosphere for bedtime. 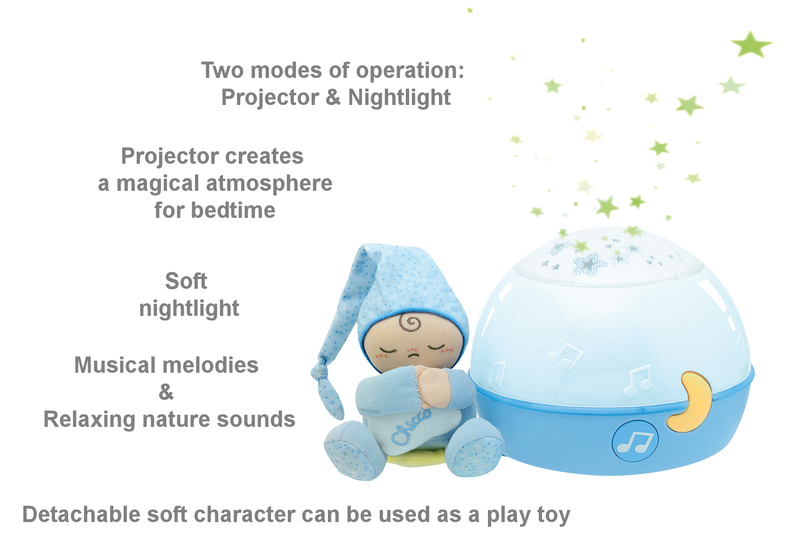 With both projector and nightlight; the enchantment of projected stars and the relaxing musical melodies of Bach, Rossini and new age tunes will help baby drift off into a peaceful slumber. 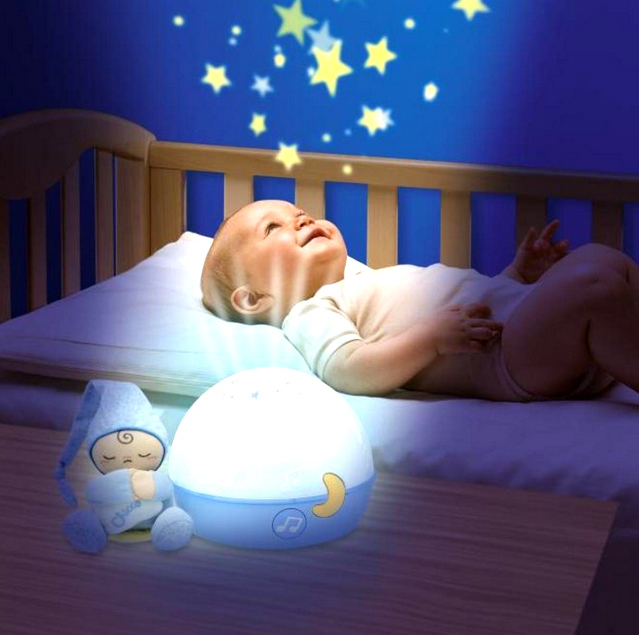 The projector can also be used as a coloured lamp, accompanying the child to dreamland with soft reassuring illumination. The cute character (included) can be detached from the star on which it sits to be used as a soft play companion. Simply majestic.